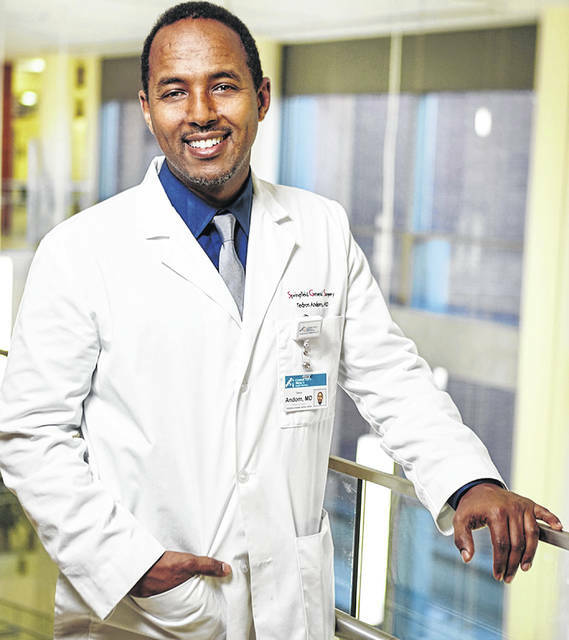 Mercy surgical specialist Tedros Andom, M.D. The public is invited to learn about and test drive Urbana Hospital’s surgical robot at Graham Middle School on Jan. 28. ST. PARIS – Mercy Health – Urbana Hospital and Graham Local Schools are giving the community a chance to operate a surgical robot on Monday Jan., 28. In September, Urbana Hospital received a surgical robot. Robotic surgical systems aid surgeons in treating a wide range of conditions in a minimally-invasive way, which shortens recovery time and lowers the risk of infection. Until now, the robot has remained nameless, a problem that Urbana Hospital looked to the students of Graham Middle School to solve. The hospital hosted a contest, inviting the school’s homeroom classes to submit a name. The voting has now taken place. Urbana Hospital President Jamie Houseman will name the winning class and reveal the robot’s name at 11 a.m. Jan. 28. From 11 a.m. to noon, the class will have a pizza party and take part in a robot Olympics with Mercy Health Physician and minimally-invasive surgical specialist Tedros Andom, M.D. The rest of the middle school students will be invited to operate the robot until 3 p.m.
From 4 to 7 p.m., Mercy Health invites the public to test drive the device at Graham Middle School. Members of Mercy Health’s robotic surgery team will be available to answer questions. 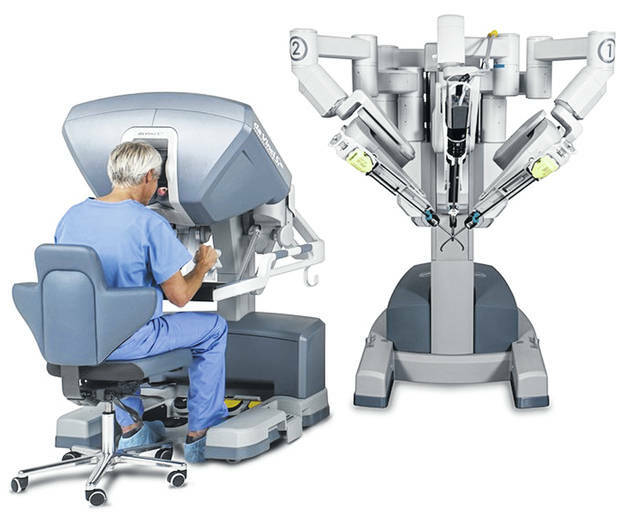 For more information on Mercy Health’s robotic surgery program, call 937-717-4884.
https://www.urbanacitizen.com/wp-content/uploads/sites/36/2019/01/web1_Dr.-Andom.jpgMercy surgical specialist Tedros Andom, M.D. https://www.urbanacitizen.com/wp-content/uploads/sites/36/2019/01/web1_da-Vinci-SI.jpgThe public is invited to learn about and test drive Urbana Hospital’s surgical robot at Graham Middle School on Jan. 28.